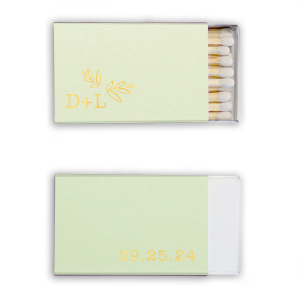 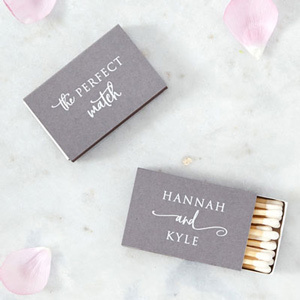 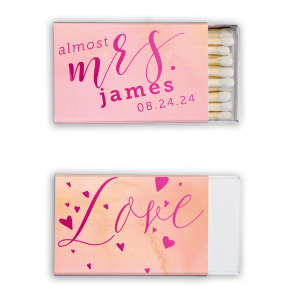 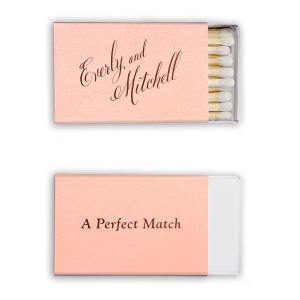 Brighten your wedding favors and party favors with personalized classic matchboxes! 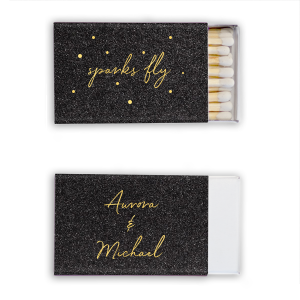 Create custom box matches with a trendy foil stamped design from For Your Party with our personalized classic matchboxes. 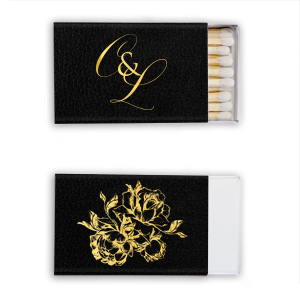 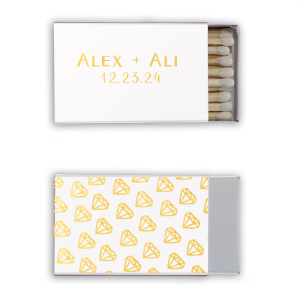 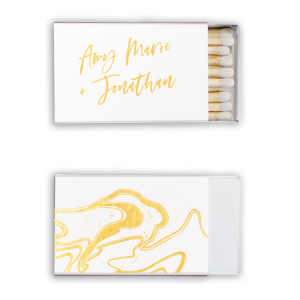 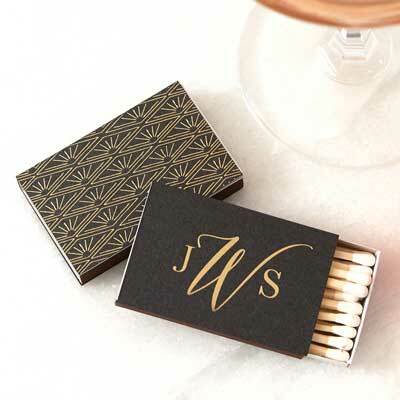 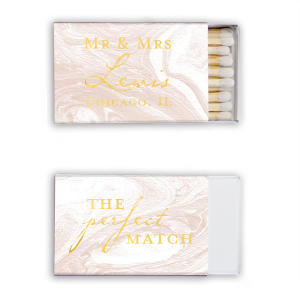 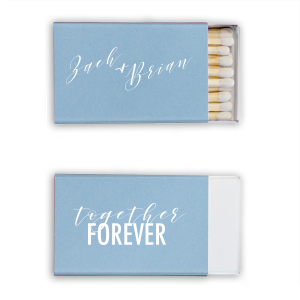 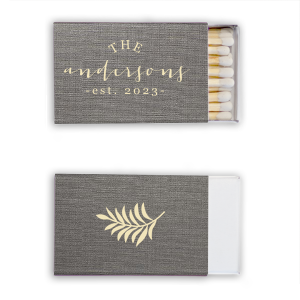 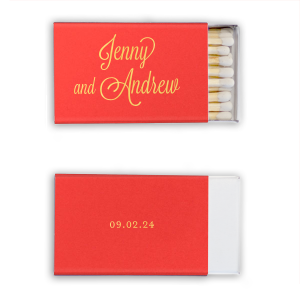 These custom printed classic box matches make beautiful, timeless and fun personalized wedding favors. 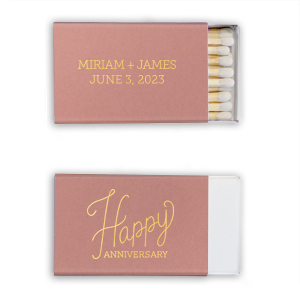 Our user-friendly FYP Customizer is the perfect tool for you to quickly make top-quality, inexpensive wedding favors. 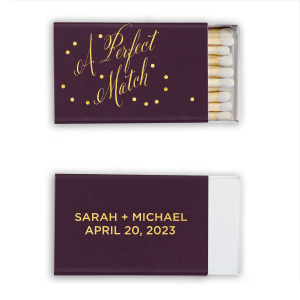 Just choose colors and add a trendy saying like "The Perfect Match" or "It's Lit." 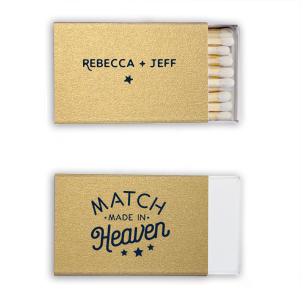 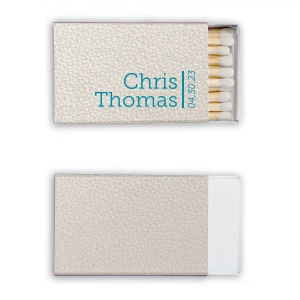 You can also choose from a variety of differently shaped matchboxes or two sizes of matchbooks. 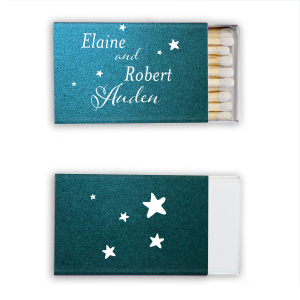 Classic custom box matches can also make fantastic personalized party favors at holiday parties, retirement parties, birthday parties, or bachelor parties; on your home bar; or as housewarming gifts.